Known for tourism and aerospace, Clear Lake City is a strategically planned community, one of such within the Greater Houston Area. Clear Lake City is home to aerospace centers such as Johnson Space Centre and other notable aerospace companies. Clear Lake City was commissioned in 1963 by Governor John Con ally, and since then has been home to different groups of individuals including employees of the different aerospace companies resident in it. Aerospace contractors in Clear Lake City include Ford Aerospace Corporation, McDonnell Douglas, Boeing and Martin Marietta. Apart from the impact of the aerospace industry which makes Clear Lake City home for a lot of engineers, tourism is also a major contributor to the economy of Clear Lake City. The economy of Clear Lake City receives major contributor from tourists who come in annual festivities and celebrations. 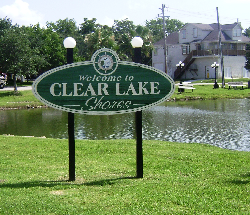 The annual festivities in Clear Lake City include Clear Lake Spring Fling and Boating Festival which is celebrated in April, , the Blessing of the Fleet which is celebrated in August, the Lunar Rendezvous Festival which is celebrated in July, the Christmas Boat Lane Parade and the the Armand Bayou Nature Center Fall Festival which is celebrated in October. Retail businesses and recreation are also major players in the economy of Clear Lake City. The culture of the city is displayed in activities which include Gulf Coast Film Festival which celebrates local and international artists with a focus on categories that range from documentaries to short films. The Wings over Houston Air Fest is another cultural activity which displays air acrobatics from both military and civilian pilots. The Bay Area Houston Ballet and Theatre, The Clear Lake Symphony and The Arts Alliance at Clear Lake also offer cultural activities ranging from theatre performances to art exhibits and musical performances. Clear Lake City has several neighborhoods; some of them are Bay Knoll, Bay Pointe, Brook Forest, Bay Oaks, Brookwood, Camino South, Clear Lake Forest, Meadowgreen, Northfork, Oakbrook, Middlebrook, Pinebrook and Oakbrook West. The presence of NASA’s space center played a major role in the development of these neighborhoods. Without a reliable moving company, moving within a neighborhood or from one neighborhood to another in Clear Lake City could be frustrating. M&M Moving Company offers the kind of service that gives you peace of mind and takes all the stress away. We offer over 20 years of service and have developed ways of satisfying our clients all the time. Our experienced team ensures the safety of all goods entrusted to us. We understand that you need trusted hand for your delicate properties, and we provide those hands. We are also fully licensed for all the services we provide. Thinking about moving in Clear Lake City, think of M&M moving company. We are what you’ve been seeking.